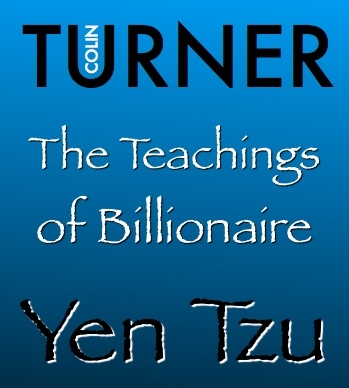 6 more lessons containing a wealth of esoteric secrets, enlightening stories and practical wisdom explained within The Teachings of Yen Tzu that will develop every area of your life. ‘I would be honoured to assist your Greatness in this matter,’ said Chih-Po, rushing forward. ‘Even if what I might want may cause rifts for the people or business concerned?’ questioned Tang. ‘Well, I know these men involved and I believe them to be good, which is why I am questioning my own thinking.’ Counsellor Tang commented. ‘Yes Counsellor,’ replied Chang who, turning to face Chih-Po, proceeded to do so. ‘To do what is not your business to do is called officiousness. ‘To rush forward when your comments are unsolicited is obsequiousness. ‘To echo a man’s opinions and try to draw him out in speech is called sycophancy. ‘To speak without regard for what is right or wrong is called flattery. ‘To delight in talking about other men’s failings is called calumny. ‘To break up friendships and set kinsfolk at odds is called maliciousness. ‘To praise falsely and hypocritically so as to cause injury and evil to others is called wickedness. ‘Without thought for right or wrong, to try and steal a glimpse of the other party’s wishes, is called treachery. ‘These eight faults inflict chaos on others and injury on the possessor. ‘To be fond of plunging into great undertakings to enhance your merit and fame; this is called avidity. ‘To insist that you know it all, that everything be done your way, snatching from others and appropriating for your own use; this is called avarice. ‘To see your errors but refuse to change, to listen to remonstrance but go on behaving worse than before; this is called obstinacy. •	Although never a day passes without our evaluating others, very few of us ever evaluate ourselves. Common sense tells us that we cannot evaluate another before we are able to evaluate ourselves, yet common practice proves otherwise. Judging the character of another is not a question of social status or seniority, though many people believe their ‘position’ enables them able to evaluate someone quickly. However, these same people have never evaluated themselves using the same criteria with which they evaluate others. •	Those people who are responsible for regularly evaluating or appraising others will readily admit, if asked, that to be qualified to evaluate another, you first need to have evaluated your own thoughts and actions. Yet how many of them will want to admit that they have never actually done so themselves? Think for a moment about the people in the area you live in and the people you meet and work with: neighbours, colleagues, friends, customers, guests, new acquaintances and relatives. Consider the time you spend evaluating, appraising, analysing, assessing, considering or judging them. Now take a moment to reflect on the following: how much of each day do you spend in self-evaluation? •	The questions we ask ourselves should be those that come so freely to us when silently evaluating others. For example, the next time you feel upset because you do not feel in control of a situation, ask yourself why you really need to have control. When someone annoys you because they always want the last word, ask yourself why it is that you are annoyed. Is it that you need to have the last word? •	Becoming aware involves standing outside of ourselves and observing everything that happens to us, both inside and out. In the same way that you have probably noticed how others fidget, drum their fingers or tap their feet, start to observe your own physical actions. Notice how you were unaware of them before. •	Many people unwittingly caught on camera are surprised to see how they fidget or gesture in a certain way, being previously unaware of it. When confronted with it, we are often surprised at the way we project ourselves to others. It is not some special gift for others to see us differently to the way we see ourselves; it is simply that we do not make the effort, or take the time, to be as aware of ourselves as we are of others. You can download this book direct from Amazon now.